Sorry, the exhibition has been delayed due to shennanigans involving small children and ear infections. Will definitely be open this Saturday, possibly Friday. More exciting developments on this blog as they occur. 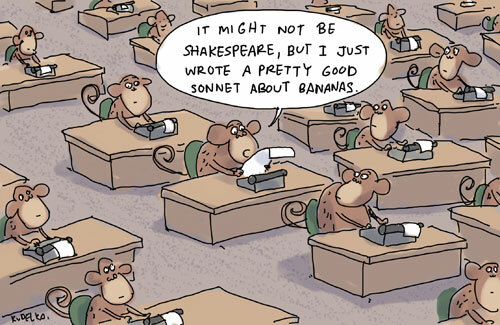 The theory goes that an infinite number of monkeys banging away on an infinite number of typewriters will eventually come up with the complete works of Shakespeare. My exhibition of cartoons from The Weekend Australian Review is what you get with just one monkey and a box of crayons. Do pop in. On daily at the Sidespace Gallery, Salamanca Arts Centre, Â 11th – 16th November 2010 10 am to 4pm. 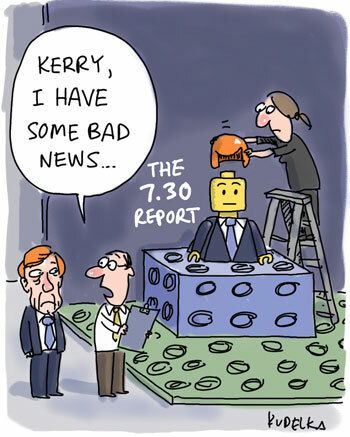 Back in April, I predicted that the ABC’s evil Lego plan would spell the end of Kerry O’Brien. They said I was mad, well who’s laughing now? Stay tuned for Lego Leigh Sales and Lego Tony Jones. Very few people know that Bob The Builder was live action before it was on the ABC. 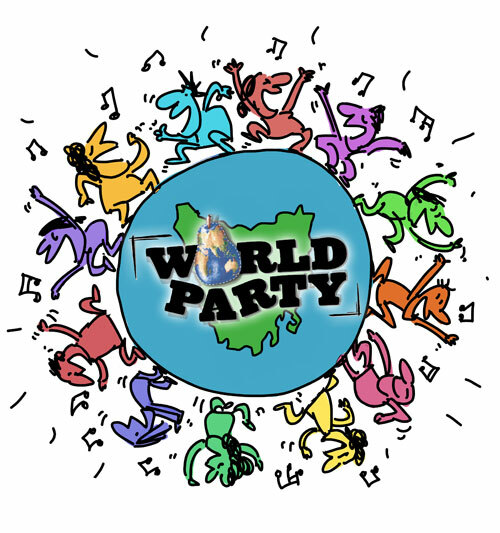 This is a pic I drew for World Party Tasmania, an event organised in response to some recent bullying and harassment of foreign students in Hobart. While you can’t completely stamp out boneheaded stupidity, you can show that racism is not okay and if that involves going along to a fantastic party then you can’t really lose. It’s on at City Hall in Hobart, 16 October Â· 14:00 – 23:30. Go to the website and like it on Facebook.